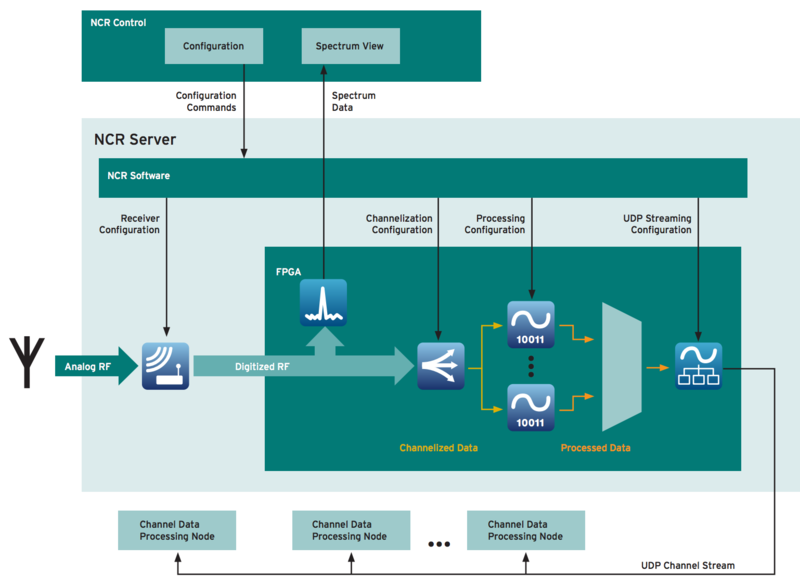 Novator Channelizer Receiver system lets you analyze thousands of signals with a single receiver. It streams channelized data to other systems where it can either be listened to or further processed. 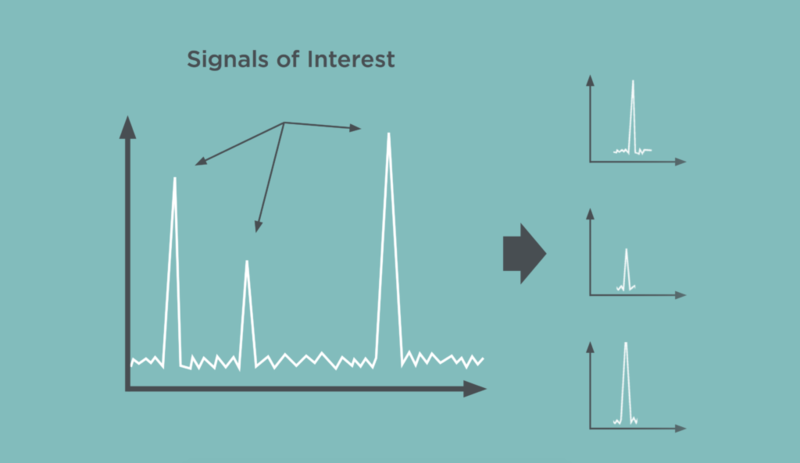 Ideally there would be one receiver dedicated to every signal of interest (channel). However, as the number of channels increases, it rapidly becomes impractical to use that approach, not only in terms of the footprint and price but also, the infrastructure required to control all the different receivers. To combat the problems of physical size and cost, you can use one single receiver and still be able to process all the different signals of interest by using digital signal processing. This approach however demands a lot of the receiver. In situations where an operator wants to listen to channels or continuously analyze them (not just detect them), it is not possible to scan the spectrum, and it is important to have high real-time bandwidth to be able to cover as large a portion of the spectrum as possible while still maintaining good dynamic range. Higher real-time bandwidths lead to higher sample rates and more data to process. In combination with thousands of channels to process, ordinary CPUs do not work fast and reliably enough, meaning that other means of processing must be used – for example, fieldprogrammable gate arrays (FPGAs). Novator Channelizer Receiver system solves all of these problems and many more. Novator Channelizer Receiver (NCR) is a product series of turnkey systems, using high-performance wideband receivers and FPGA-based digital signal processing to extract signals of interest and process them. The extracted channels are then streamed over Ethernet to various processing nodes. The signal chain is all implemented in hardware, making the system reliable and capable of handling high data rates. The NCR family consists of a number of components, where each component on its own delivers unique, state-of-the-art performance. Put these components together, and you get a one-of-a-kind high-performance system. Novator Solutions has extensive experience in designing and creating systems with different integrated parts and making them work together. 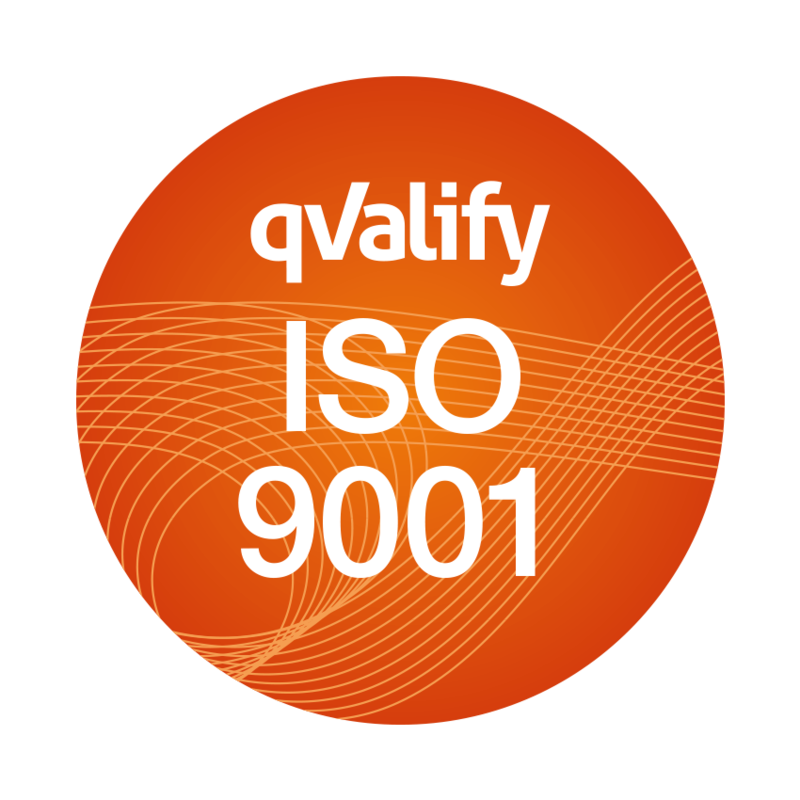 The result is a system that easily can be integrated into other system environments. The system is based on the NI PXIe platform, a commercial off-the-shelf (COTS) hardware platform from National Instruments that is used in thousands of systems worldwide. This hardware makes it possible to obtain high performance equipment for a lower price while ensuring high availability and uptime. The PXIe platform includes all the components necessary to create advanced systems, such as Radio Frequency (RF) modules, FPGAs, and mechanisms to transfer data effectively without CPU resources. You also have the possibility of future upgrades without needing to replace the entire system. The channelization is performed on FPGAs using algorithms created by the company RFEL. 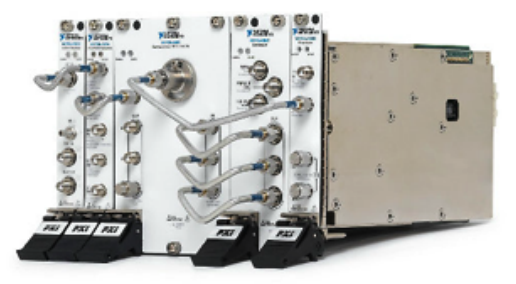 Their award-winning FPGA IP core makes it possible to extract up to 1024 channels from wideband sources with high flexibility and performance. An NCR system is comprised of three different parts: the NCR Server, the NCR Control, and the processing nodes. The server is connected to one or two antennas and handles the channelization and broadcasting of the channels. The NCR Control configures the server using TCP/IP commands, and the processing nodes process the channelized data. An NCR system supports two completely separate signal paths (from incoming RF to the UDP channel stream). The NCR Control software is the operator interface for the NCR Server, and you can program it to fit the rest of your system environment. The client can be programmed in any programming language capable of communicating with TCP/IP commands. Since the NCR Server can handle multiple client connections, the different clients can be different pieces of software with different purposes and external interfaces. It is possible to have a fully automated client while simultaneously connecting a manual client controlled by an operator. NCR Server manages the configuration of the hardware. The NCR system is configured using TCP/IP commands, and except for the initial hardware setup, all settings – such as receiver center frequency, channel configuration, and channel UDP destinations – can be set up remotely. The system can also easily be integrated into your existing application environment by using an open JSON-based communication protocol. The software is Windows-based and it is preinstalled upon delivery, making it possible to get started quickly. If the NCR-system must be placed in a secure network, requiring a verified OS and software installation, a blank harddrive along with NCR server installed media can be provided instead. A processing node listens to UDP ports to receive only the channel data that the particular node is interested in. The node can be anything from an ordinary laptop to a powerful server. There are two main node types: an audio player that plays demodulated channel audio or an analysis mode that processes channel IQ data. Most of the time, the processing nodes are programmed by the customer to be able to leverage already existing analysis software and potentially classified information and intellectual property. system to your requirements. Read on to find out more about them! The NCR-2000 is compatible with two different vector signal analyzers from National Instruments, the NI PXIe-5667 and the NI PXIe-5668R, offering you several options regarding real-time bandwidth. Two RF instruments can be used in the same NCR system and be controlled independently of each other. A broader band – up to 26,5 GHz – can be covered using a single 5668R reciever. Four different options are available: 80 MHz, 200 MHz, 320 MHz and 765 MHz. To get a view of what the spectrum looks like, a fast Fourier transform (FFT) analysis needs to be done on the wideband RF signal. An ordinary spectrum can be used to get an overview of the signals, and this overview is perfect if the signals are not expected to be very short in duration. The spectrum can easily be broadcast to all clients using UDP, and it can also be optimized for a variety of update rates to reflect the speed of your network. By dedicating an FPGA to do FFT analysis, you can increase performance. 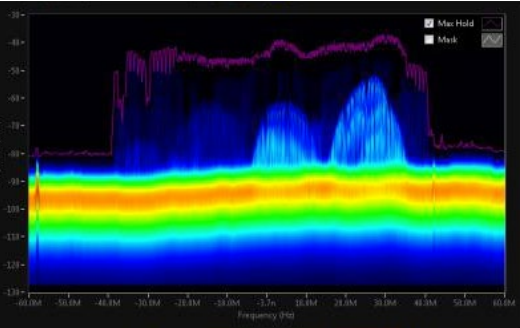 The real-time spectrum analyzer (RTSA) option provides overlapping FFT processing and adds a persistence display and spectrogram to the NCR system, making it easier to monitor the spectrum and discover short signals. If the primary goal is to find signals at previously unknown frequencies, the RTSA option gives you the necessary tools to do so. The spectrum data is streamed to selected clients by TCP/IP. The heart of the NCR Server is the FPGA-based channelization. Different applications have different requirements; while some might need only a few channels, others require hundreds or thousands. 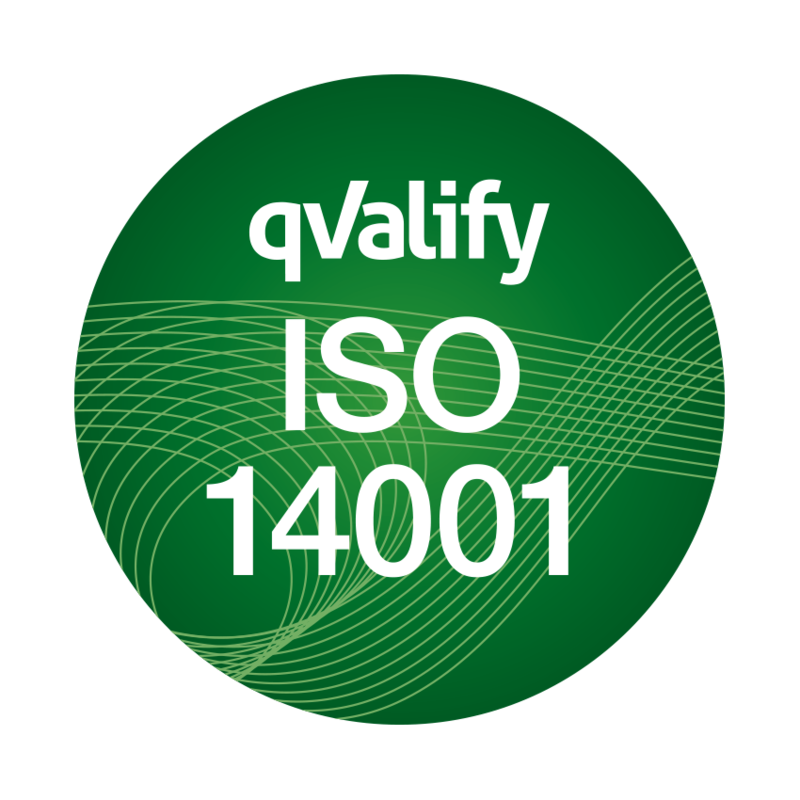 An NCR system with the high channel count option can extract up to 1024 signals of interest per receiver. The configuration of the channel plan is very flexible, and each channel can individually be tuned into specific center frequencies, bandwidths, gains, and more. The configured channel plan can be reconfigured in run-time without interrupting already running channels. 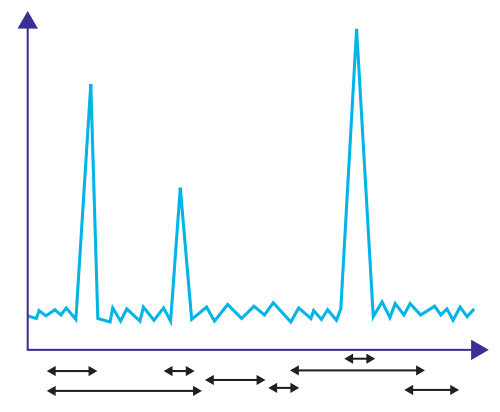 Channels can be made to overlap and the channel configuration can contain both narrowband and wideband signals. For example, it is possible to have 512 channels with a bandwidth of 50 kHz together with 128 channels of 200 kHz bandwidth. This option is often used for spectrum monitoring when you need to listen and analyze many different signals at the same time. The channelizer solutions are deliveried with a very high dynamic range performance – enabling an outstanding ability to detect both weak and strong signals in the same spectrum. Novator Solutions designs these solutions according to customer specifications, and they could involve, for example, GNSS systems or any other type of applications where channelization is required. transmissions; for example, handheld devices or traffic control. Different analog demodulations are available such as AM, SSB, and FM. The option is made for listening to speech, and demodulated audio is downsampled to 8 kHz to save network bandwidth in slow networks. Furthermore wideband FM can be provided as either 96 kHz or 192 kHz. Other features, such as automatic gain control and squelch, are also included in this option. the processing node that can demodulate the IQ data. With this option, it is also possible to add additional filtering to the IQ data. developed by Novator Solutions in collaboration with you and included in the signal chain. Custom processing can also be configured by using TCP/IP commands – just like the rest of the NCR system. This way you can off-load the processing nodes and stream analyzed data directly to listeners. Even if it is impossible that you will share potentially classified and proprietary algorithms with Novator Solutions, you can still implement custom processing algorithms on an FPGA that is included in the signal path on the NCR Server. This is the perfect choice if you need to implement algorithms and IP directly in the hardware but are limited by security concerns. Design assistance and templates are provided to integrate the custom code into the NCR system. The data must be streamed from FPGA to the NCR Server and from there to the processing nodes. This streaming can be done in a variety of ways – each way with its own benefits and drawbacks. Streaming the full bandwidth results in a lot of data, and the streaming must be done from the FPGA in order for the streaming to be fully flexible. On the FPGA, the demodulated signals or IQ data are packaged into UDP packets and streamed by 10 Gb Ethernet, allowing for high transfer rates. The FPGA is operating at the lowest level of the IP stack, and each channel can be sent to a specific address and UDP port, making it easier for processing nodes to filter out channels of interest. The 1024 channels could for example be streamed to 1024 different UDP ports. The channel data is packed with a header containing information about the data in the UDP packet. If required, custom protocols and VITA49 can be used to match the software environment already in place. To allow for a simpler network architecture, channel data can be streamed by the NCR software over standard Ethernet cables and RJ45 connectors. This option does, however, not offer the possibility of full data rates or individual channel addressing, but instead it offers TCP/IP as a potential way of streaming the data. Please contact Novator Solutions for full specifications of the system. channels, decimation, sample rate, bandwidth etc. * Contact Novator Solutions for more information. To build the NCR, Novator Solutions uses hardware from National Instruments, a company well aware of the fact that uptime can be critical. Our partnership with National Instrument allows us to offer a service agreement that suits all your needs – for example, replacement units in stock, fast repair, and extended warranty. Based in Stockholm, Sweden, Novator Solutions are specialized in developing FPGA-based software defined radio instruments on National Instruments platforms such as PXIe and USRP. We offer turn-key solutions for channelization, analysis, wideband recording and playback of RF signals in various scenarios. Novator Solutions is a National Instruments Gold Alliance Partner, as well as winner of numerous awards including Alliance Partner of the Year 2015 in northern Europe and Alliance Partner of the Year 2016 in Europe, Middle East, India and Africa Region (EMEIA). flexibility, accuracy, and measurement speed. RFEL is a UK based Technology Company providing high specification signal, image and video processing solutions to government, defence, security and industrial customers. As world leaders in high performance software defined digital receiver designs for Electronic Warfare systems, RFEL offers rapid and flexible design services based on an extensive library of multi-award winning, patented FPGA IP-Cores.